TETON COUNTY, WY—Rangers at Yellowstone National Park confirmed the death of famed geyser Old Faithful this morning, hours after it was severely beaten by a gang of teenaged males who, according to investigators, “appeared to have simply been bored.” “Our security footage shows six young men approaching Old Faithful just before midnight and then kicking and punching the geyser directly in the spout,” said National Park Service director Jonathan Jarvis, adding that the teenagers had been loitering in the area about an hour before they began circling around the geothermal formation and shouting taunts at it. 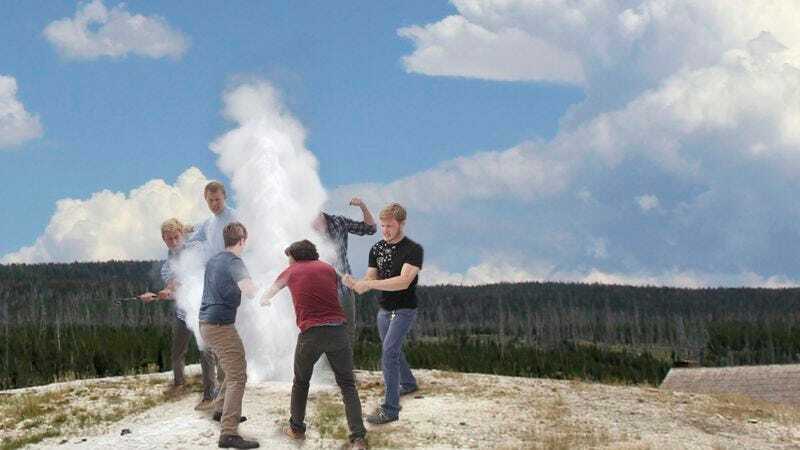 “It appears Old Faithful attempted to spray them off, but it can only erupt every 90 minutes or so and, in any event, was outnumbered. At present we are unsure whether this was a thrill-killing or the result of a dispute between the parties involved.” The White House confirmed President Obama has responded by ordering heightened security around all U.S. national treasures, including Yosemite Falls, Glacier National Park, Tony Bennett, and the Grand Canyon.